Have you ever done any of these things; walked into a pub or restaurant, realised it’s empty and decided to walk out and go somewhere else; somewhere busier? Or decided to purchase a product based on the positive reviews that are associated with it, or decided not to purchase a product based on the negative reviews associated with it? In fact, can you remember at all the last time you bought something and didn’t look at the reviews before finalising your decision? Are you ever tempted by the “Best Seller” or “Most Popular” product? When buying a product on Amazon or other online sites, can you resist looking at and maybe being influenced by their suggestions as to what other customers also bought? These questions are largely rhetorical because I know many of you will have done all of these things at some time. These are examples of the principle of persuasion known as Social Proof. In the book “Influence,” Robert Cialdini describes social proof as “the tendency to see an action as more appropriate when others are doing it.” Cialdini claims social proof is more powerful when we’re uncertain what to do. In other words, social proof is one way for us to discern what is correct through reference to what other people think is correct. Understanding the principle of social proof can help sales people influence customers to make a favourable decision more effectively. 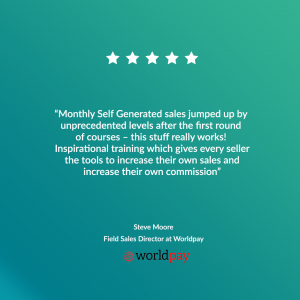 I’m going to explore two things that can be simply and effectively utilised by sales people to great effect; these are referrals and testimonials. When a friend or family member recommends a product, you’re more likely to take their endorsement seriously. In fact, Nielsen reports that the most meaningful form of advertising is recommendations from friends and family: 83% of consumers in 60 countries say they trust these recommendations over any other form of advertising. Research on social proof has shown that our peers, in particular, and their choices are important to us and influence our decisions and actions. As a rule, we usually choose to do the same thing that our peers are doing. Most sales people will have benefited from receiving a referral at some time during their career and there are two tips that can help supercharge your referral engine. Firstly, sales people forget or are even too worried (about rejection) to ask for referrals. It is great when referrals are unsolicited and come as a surprise and we become the beneficiary of someone recommending us, but our customers are busy people and we can’t rely on these unsolicited referrals alone. Therefore feel confident in asking for a referral, you will be surprised how many people say yes. Secondly remember the rule of ‘give to get;’ Cialdini suggests that people feel socially obligated to repay in kind what another person has provided for us. As a minimum we should thank customers or others who recommend us, ideally with a small personalised gift. However the best sales people I’ve come across are the first to refer their customers, find out what an ideal referral for your customer looks like and work hard to provide referrals where possible. I guarantee when you give to get, you will not only provide a lot of value for your customers but you will also benefit yourself. Similar but different to referrals in my view; referrals are personal proactive recommendations made person to person, whereas testimonials are typically a more passive written recommendation. We know that customers trust recommendations from people they know, much more than from strangers. However, testimonials are still extremely powerful in the context of social proof. 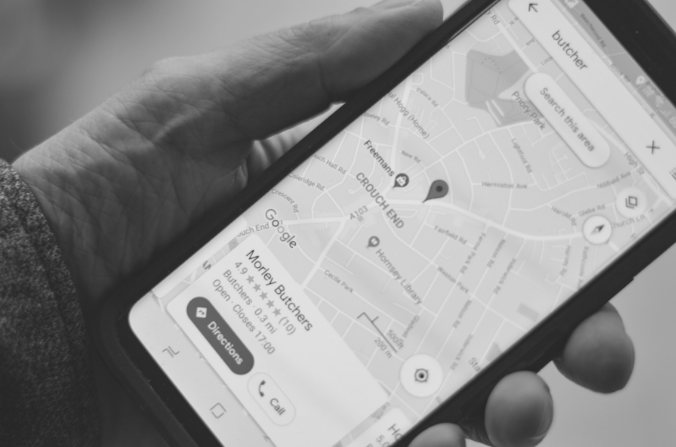 In a local consumer review survey in 2017 conducted by BrightLocal, they found that 85% of consumers trust online reviews as much as personal recommendations. The study also mentioned that consumers read an average of 7 reviews before trusting a business. The power of testimonials lies in their objectivity. That is, someone outside of the brand does the talking, so in theory, the credibility is higher. Sales people can maximise the power of their testimonials in the following ways. Start by making them more believable (just because a testimonial is true, it doesn’t mean people will believe it.) According to research by Newman et al; on increasing subjective feelings of truth, the best way is to put a face to the words. Pictures were found to increase trust among all participants. In addition prominent client logos in testimonials are highly memorable, it is best to avoid generic testimonials or case studies that reference “a financial services customer” or similar. Wherever possible, get customers permission to use their logo, this is particularly helpful if they are seen as an industry leader in some capacity. I’ve included an example of a testimonial from one of my clients below as an example. When writing testimonials or case studies be focused on capturing a moment where a customer describes a very specific (and very real) pain or gain that they benefited from with your product or service. This allows people to understand and empathise much more effectively with how your product and service helps other similar people or businesses. Finally, the mechanisms of social proof work best when the proof is provided by the behaviour and actions of numerous people. It seems that the greater the number of people who find an idea to be correct, the more correct and valid the idea will be, for the observer. Once again the science is clear, social proof is a powerful influencing force and one which our marketing colleagues have been leveraging for some time. As sales people, don’t rely on your marketing colleagues to do all the heavy lifting of obtaining testimonials and case studies. Make it a regular part of all your interactions with customers. I remember working at Franklin Covey some years ago when our stated aim was to work with “case worthy clients,” this encouraged the sales team to think about the potential for a case study or testimonial right at the start of any client engagement. Those sales people that build a systemic referral and testimonial engine into their sales process will be more successful. I’m proud to invite you to my next Salestrong Bitesize events in Leeds – a fast-paced day of short and powerful development sessions, including one on the psychology of influence, that enable you to improve your sales skills. To find out more, book your place and learn my pragmatic and effective tools and techniques that will supercharge your sales performance, click here.